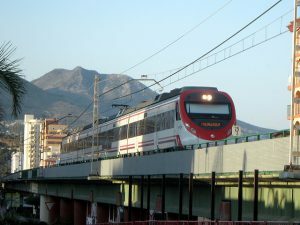 Renfe adjusts the schedules of early morning trains in both directions and extends the service one hour in the night: The schedule of suburban trains between Malaga and Fuengirola and vice versa change from late April to improve links with the AVE high speed train arriving at Malaga Maria Zambrano station. With these new schedules, which do not alter the frequency of the trains, which is still 20 minutes, the first trains will depart from Fuengirola to Malaga at 6:10, 6:45, 7:20 and 7:40 am. From that hour, trains depart every hour, twenty minutes and forty minutes. This change seeks to facilitate travellers from Fuengirola, Benalmadena and Torremolinos the connection to AVE high speed trains departing from Maria Zambrano at 7:10 and 8:10 am to Madrid. 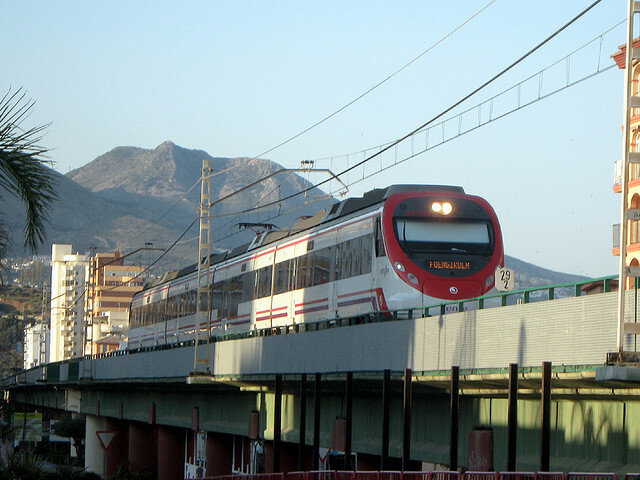 The last commuter trains leave from Fuengirola at 10:20, 10:50, 11:20, 11:50 pm and 00:20 am. Regarding the direction Malaga-Fuengirola, the first trains depart from Malaga Centro-Alameda Station at 5:20, 5:55, 6:30 and 6:50 am, from which there will be trains every 10, 30 and 50 minutes after the full hour. The last departures are at 9:30, 10:00, 10:30, 11:00 and 11:30 pm.